CARFAX 1-Owner, LOW MILES - 5,910! FUEL EFFICIENT 29 MPG Hwy/20 MPG City! Nav System, Leather, Moonroof, CD Player, Onboard Communications System, Keyless Start, iPod/MP3 Input, Aluminum Wheels, All Wheel Drive, Back-Up Camera CLICK NOW! Leather Seats, Navigation, Sunroof, All Wheel Drive, Back-Up Camera, iPod/MP3 Input, CD Player, Onboard Communications System, Aluminum Wheels, Keyless Start, Dual Zone A/C. MP3 Player, Keyless Entry, Steering Wheel Controls, Child Safety Locks, Electronic Stability Control. BMW 540i xDrive with Glacier Silver Metallic exterior and Ivory White interior features a Straight 6 Cylinder Engine with 335 HP at 5500 RPM*. 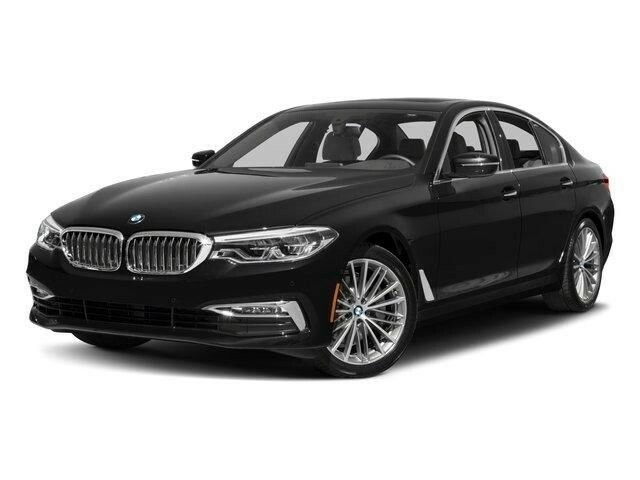 KBB.com's review says "If you want a midsize-luxury sedan with all the expected premium trappings, loads of technology and an edge for drivers who favor sporty driving dynamics, the 2018 BMW 5 Series remains the one to beat.". Great Gas Mileage: 29 MPG Hwy. BMW of Newton, located at 119 Hampton House Road Newton, New Jersey is happy to tell you that we've been serving the Sparta, Hampton, Hamburg and Sussex, New Jersey area for longer than many of you might have owned your current car. With those years comes invaluable expertise, which we put to your advantage. We're not just talking acumen on new BMW models, but used cars, service and auto repairs and perhaps most importantly - BMW financing. Pricing analysis performed on 6/23/2018. Horsepower calculations based on trim engine configuration. Fuel economy calculations based on original manufacturer data for trim engine configuration. Please confirm the accuracy of the included equipment by calling us prior to purchase.